The goat’s rue rhizobia (Neorhizobium galegae) represent a convenient model to study the evolution and speciation of symbiotic bacteria. This rhizobial species is composed of two biovars (bv. orientalis and bv. officinalis), which form N2-fixing nodules with certain species of goat’s rue (Galega orientalis and G. officinalis). The cross-inoculation between them results in the formation of nodules unable to fix nitrogen. On the basis of the data on the whole-genome sequencing, we studied the nucleotide polymorphism of 11 N. galegae strains isolated from the North Caucasus ecosystems, where G. orientalis has higher diversity than G. officinalis. The low level of differences in the polymorphism within the group of the sym genes in comparison with the nonsymbiotic genes can be associated with the active participation of host plants in the evolution of rhizobia. The intragenic polymorphism of bv. orientalis proved to be significantly higher than that of bv. officinalis. The level of polymorphism of nonsymbiotic genes was lower than that of the symbiotic genes, which are functionally more homogeneous. The divergence of the nitrogen fixation genes (nif/fix) is more pronounced than that of the nodule formation genes (nod) in the N. galegae biovars. These facts indicate the leading role of the host-specific nitrogen fixation in the evolution of the studied rizhobial species. This study was supported by the Russian Science Foundation (project no. 14-26-00094P) and was carried out using the equipment of the Genomic Technologies, Proteomics, and Cell Biology Scientific Center for Collective Use (All-Russian Research Institute for Agricultural Microbiology). 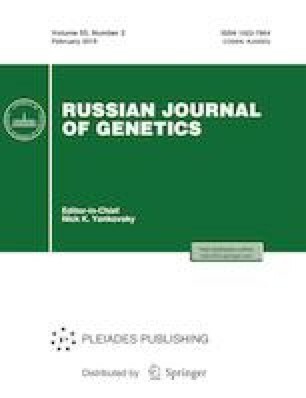 Genome sequencing was performed at the Genomics Center for Collective Use (Siberian Branch of the Russian Academy of Sciences, Novosibirsk).